I like how you said that you can repair your AC unit for around 10 years or so because that's how long they typically last for. It's nice that you said that it might need to be fixed if your electrical bill increases. My husband and I are looking into HVAC contractors to repair our fairly new AC unit. Ask yourself, "What's my system's condition? Does it need any major work?" If you don't know the answer to either of these question, it may be time to look at updating your system to a new, more efficient system. 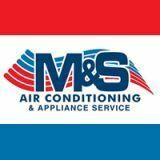 Although replacing your system may seem pricey, a new high-end HVAC unit is more efficient and will save your money over time.